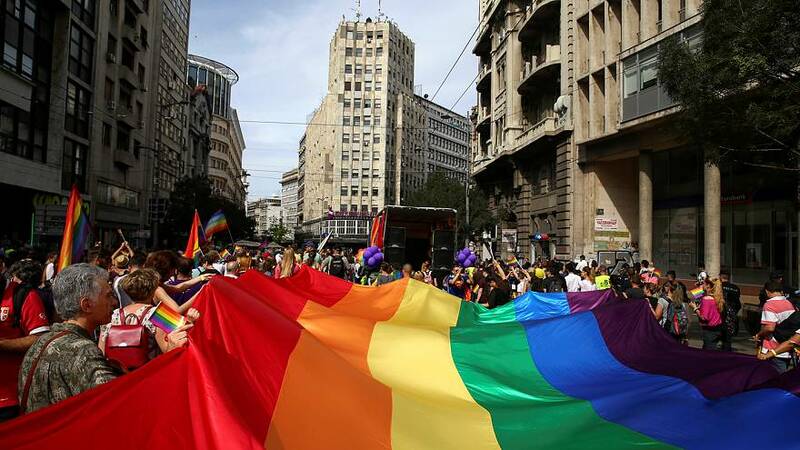 Hundreds of people took part in a gay pride parade under tight police security in the Serbian capital Belgrade on Sunday. Around 5,000 police officers were deployed in the city centre as roads were closed to traffic from early morning. The security operation follows a history of violence at previous pride parades when anti-gay protesters have attacked police and people taking part in the march. There were no reports of violence in the city as the parade took place.